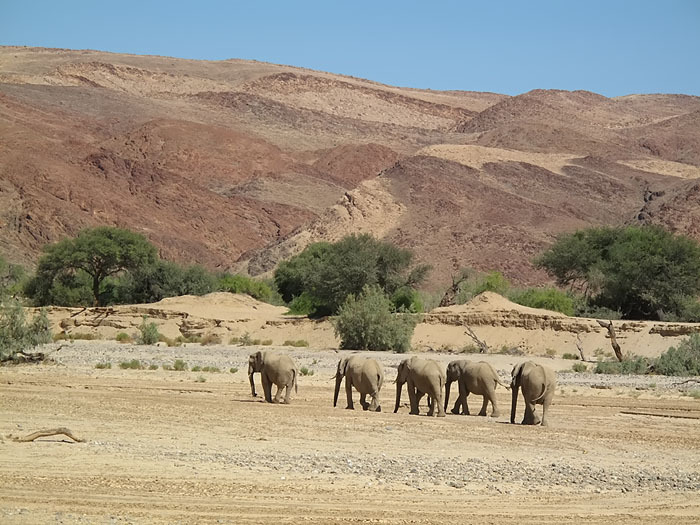 Namibia is situated in the south western corner of Africa, bordering South Africa to the south, Botswana to the east, Angola to the north, Zambia to the north east with the cold Atlantic ocean forming its western boundary. 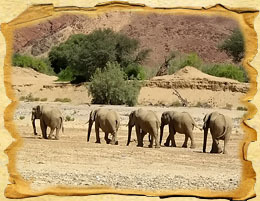 The total area size of Namibia is approximately 825 418 sq km of which 38,3% is under formal conservation management status consisting of: 16,5% national parks and game reserves, 6,1% freehold conservancies, 1,3% tourism concessions and community forests and a further 14,4 % communal conservancies. 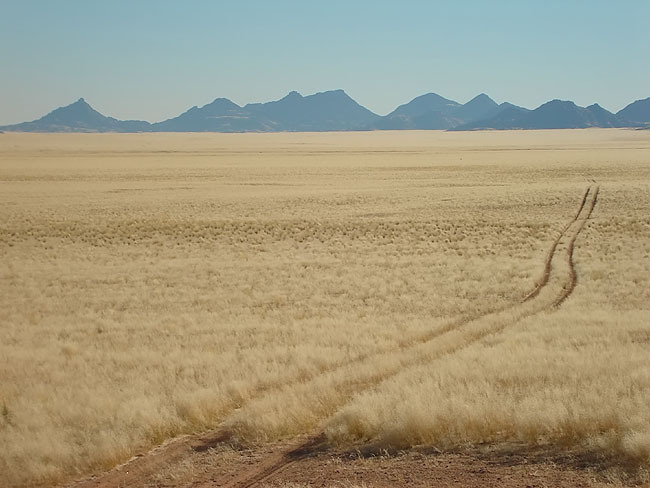 Namibia is renowned for good weather. Visitors can expect to experience sunshine more than 300 days a year with the occasional thunder showers from January to March/April. 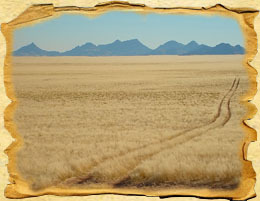 Rainfall may vary from more than 500mm in the North and North-east to less than 50mm in the western desert parts of Namibia. The country is rich in natural resources, i.e. copper, lead, tin, lithium, zinc, vanadium, cadmium, salt, natural gas, hydro power and fish. Visitors are especially drawn to the high quality of gold and diamonds. Namibia's population is slightly more than 2,4 million, with 15% living in the capital Windhoek. The current growth rate is approximately 2,9%. The country is divided in 13 regions and 13 ethnic cultural groups. 16 languages and dialects exist and the current literacy rate is approximately 65%. The main sectors are mining, fishing, tourism and agriculture. Almost half the population is dependant on subsistence agriculture for its livelihood; the economy however is heavily dependant on the mining and processing of minerals for export. The Namibian Dollar (N$) is fixed to and equals the South African Rand, which is also legal tender in Namibia. Foreign currency can be exchange during banking hours: weekdays from 09h00 - 15h30 and Saturdays from 08h30 - 10h30. A Bureau de Change office is also available at the Hosea Kutako International Airport. International standard privately-run hospitals are situated in Windhoek, central Namibia, Otjiwarongo, northern Namibia and Walvis Bay, western Namibia. Qualification of medical practitioners' measure up to International standards. Medical emergency intervention and evacuation services are on call 24 hours a day with ICU facilities, which evacuate patients by airplane, helicopter and/or ground transport. Namibia has its own Satellite-Earth station and an international exchange with one of the most advanced telecommunication infrastructures in Africa. The cellular Service Provider operates a GSM Network and agreements with 40 countries and 80 networks. The Postal service affiliated with Universal Postal Union. 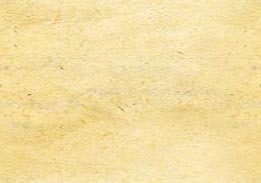 Diego Cao, the Portuguese navigator landed and planted a stone cross (Padre) at Cape Cross in 1486. South Africa occupied the German colony of Süd-West Afrika during World War I and administrates it as a mandate until after World War II, when it annexed the territory. South West Africa received it independence on the 21st March 1990.